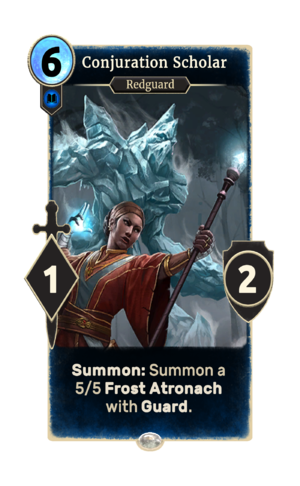 Summon: Summon a 5/5 Frost Atronach with Guard. Conjuration Scholar is a common Intelligence creature card. It is part of the Heroes of Skyrim expansion. This page was last modified on 9 March 2019, at 16:25.